Co-authored by Steve Meretzky and Douglas Adams, Infocom's The Hitchhickers Guide to the Galaxy is one of the funniest games ever and a unique, highly intriguing and downright brutal text adventure. It might not be the pinnacle of interactive fiction design, mind you, but THHGTTG is filled with outrageous ideas, imaginative puzzles and tons of laugh-out-loud moments. 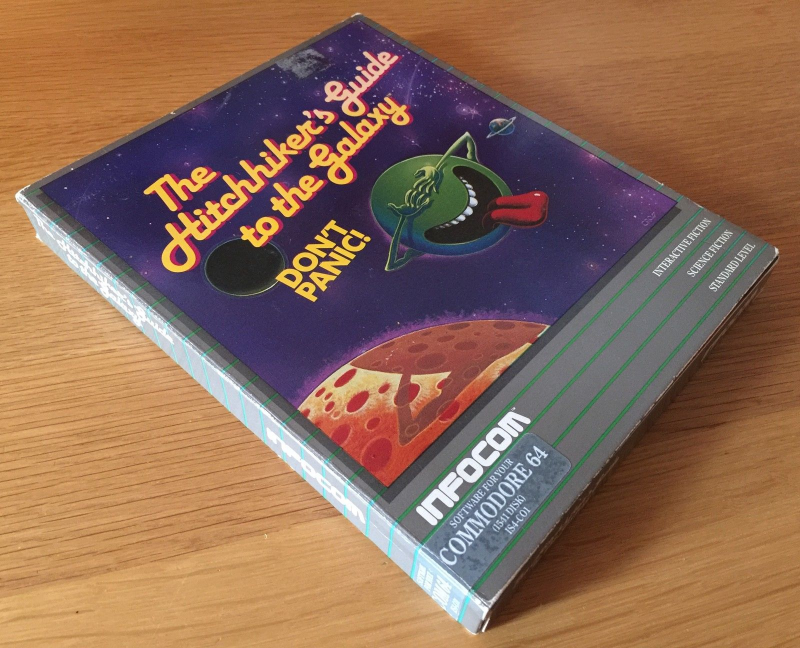 What's more, a boxed and rather rare Commodore 64 5.25" disk version of the game has been put up for sale via this The Hitchhickers Guide to the Galaxy (C64) eBay auction. The game comes complete in its box with everything it was originally packed with, including of course the bit of fluff, the peril sensitive glasses and the microscopic space fleet.